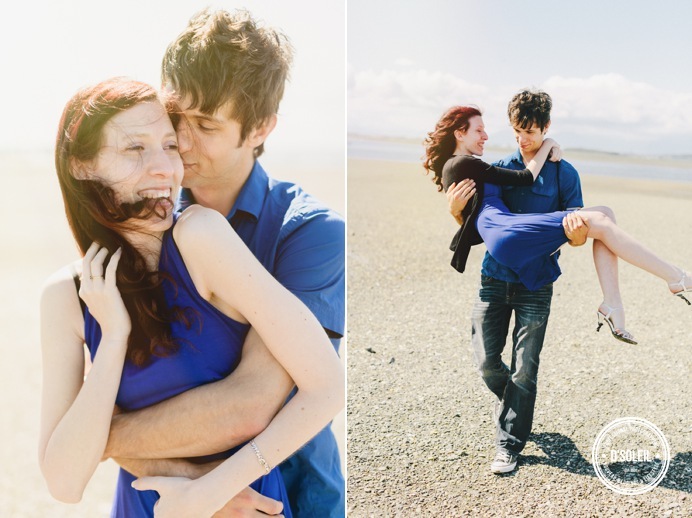 Warm beach engagement photos evoke a certain timeless emotion. They remind me of my youth, a carefree time spent next to the ocean, a time of love and romance. 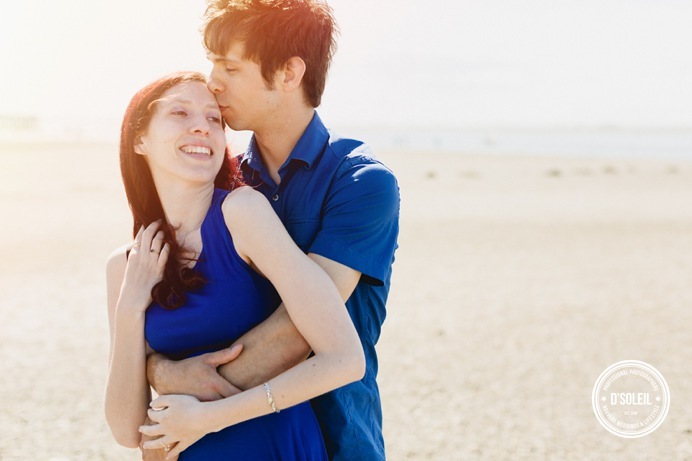 This Spring, Miranda + Joey held their engagement session at a beach in South Surrey, a neighbourhood they know well – a place they spend time together. 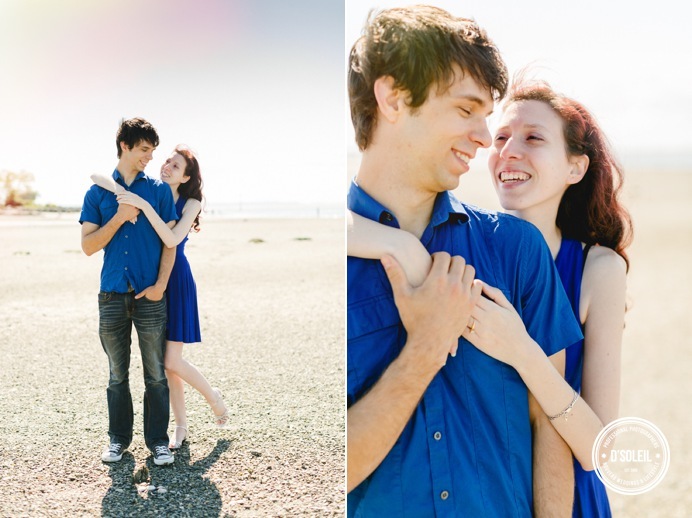 Families spent time around the beach at low tide, but the beach seemed empty around Miranda + Joey. It was like the whole coast line was their own. 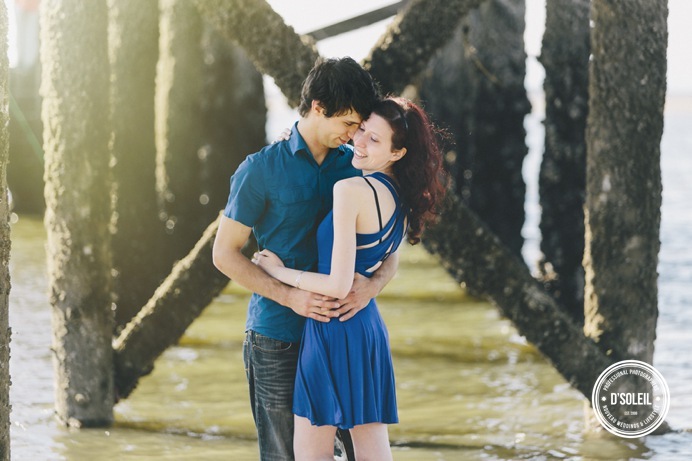 They walked under the pier and spent some private time in a romantic embrace. The gentle tide flowed beneath their soiled feet, but they barely noticed. Boats went by, creating waves, but not enough to disturb their time together. It was a beautiful afternoon at the beach on a day it was supposed to rain. Instead, the sun and fluffy clouds was all there was. 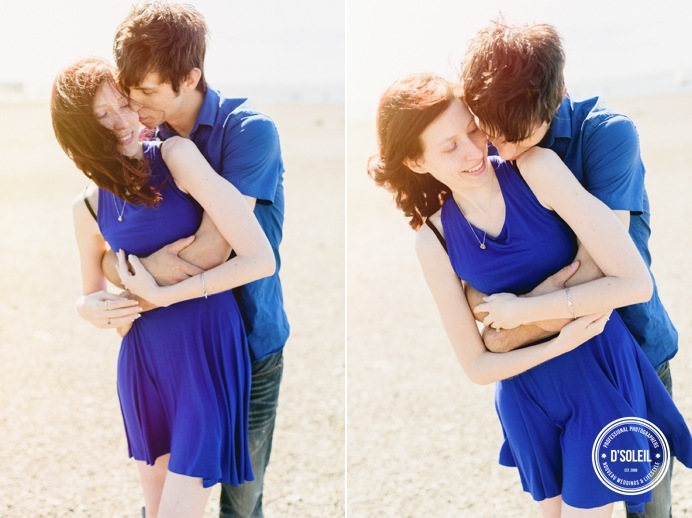 It was a perfect engagement session, their wedding will be the same. 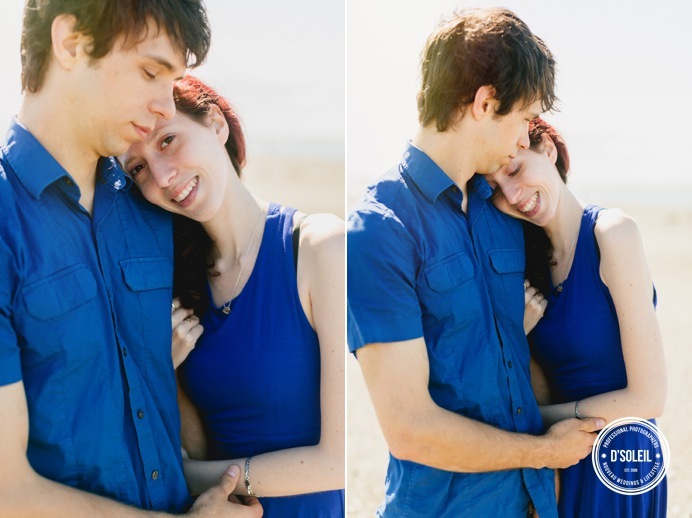 Previous Post Previous post:Nature Engagement Session in South Surrey | Miranda + Joey Vol 1. Love the ones under the pier. Great photos, Daniel! Those shots under the pier are awesome! Ah young love beautifully captured, well done. Such gorgeous light, perfect location. Wonderful work! I think my favorites are the ones under the pier! So romantic and sweet. Great session! You captured the couple beautifully! I love the warm light in these images.